Get the best business credit card deals and keep your competitors guessing. According to the SBA, corporate credit card limits are 10 – 100 times that of personal cards! This shows you can get a lot more cash with corporate credit. And it also means you can have personal credit cards at stores. Plus you would now have an additional card at the same retail stores for your company. And you will not have to have collateral, cash flow, or financial information in order to get business credit. Features vary, so make sure to select the reward you prefer from this array of alternatives. For a 0% APR time frame, we prefer the Ink Business Cash ℠ Credit Card. You pay no yearly cost. It’s got an interest-free period. It has versatile cash-back rewards. There are spending limits for your employees. You will need to have a credit score of 690 or better. For an introductory 0% APR period, we also like the Blue Business ℠ Plus Credit Card from American Express. It has an introductory 0% APR for 15 Months. You can earn double points on regular business expenses up to a yearly limit. The regular APR is 12.24% – 20.24% (variable). Consider the SimplyCash Plus Business Credit Card from American Express. You can earn as much as $400 cash back. Earn a $200 statement credit after spending $5,000. You get 5% cash back at US office supply stores and on wireless phone services bought directly from US service providers. But this applies to the initial $50,000 of yearly spending. You also get 3% cash back on the spending category of your choice, from eight separate categories, which include airfare, gas, advertising and computer purchases. But this applies to the first $50,000 of yearly spending. And also you get 1% cash back on all other purchases. Also, take a look at the Bank of America Business Advantage Cash Rewards MasterCard Credit Card. With it, you can earn a $200 statement credit after $500 in purchases during 60 days of account opening. You also get 3% cash back on purchases at filling stations and office supply stores. So this is up to $250,000 annually. And you get 2% cash back on purchases at restaurants. You also get 1% cash back on all purchases. So there is no yearly fee. And it is available to applicants with exceptional credit. Also, you can only redeem your cash back in $25 increments. In addition, have a look at the Spark Cash Select from Capital One. You get 1.5% cash back on all purchases, without any limits. New cardholders can also get a $200 cash bonus. But this is once they spend $3,000 on new purchases. Also, it is during the first three months of account opening. New customers also get introductory APR of 0% on purchases for nine months. Also, there is no annual fee. Have a look at the Business Gold Rewards Card from American Express OPEN. You can get 50,000 Membership Rewards points. But this is after $5,000 in purchases on the card within first three months. Also, you get three points on your choice of five categories. And you get two times the points on the remaining categories. Also, get one point per dollar on all other purchases. It has a $0 annual fee for the first year. But after that your yearly fee goes up to $175. Also, take a look at the Business Platinum ® Card from American Express OPEN. You can get as many as 75,000 Membership Rewards points at the time of account opening. You can also earn 50,000 Membership Rewards points. But this is after spending $10,000. And get an extra 25,000 points. But this is after spending an additional $10,000 all on eligible purchases within first three months. And also you can get five times the Membership Rewards points. So these are on flights and prepaid hotels on amextravel.com. But keep in mind; it has a $450 annual fee. For Fair Credit, we are partial to the Capital One Spark Classic for Business. So it has no yearly fee. There are also cash-back rewards. You will need a credit score of 690 or better. But BEAR IN MIND: the standard APR is 23.99% variable APR. For Travel Points, we prefer the Gold Delta SkyMiles Business Credit Card from American Express. Get 30,000 bonus miles. But this is after you make $1,000 in purchases on your new card. And it’s within your first three months. Terms and limitations apply. Also earn a $50 statement credit. But this is after you make a Delta purchase with your brand new card. And it’s within your first three months. Earn two miles per dollar spent on purchases made straight with Delta. And earn one mile on each qualifying dollar spent on purchases. You also receive Gold Status when you register for the Starwood Preferred Guest program. Also, you receive a $200 annual air travel fee credit. There is a $100 credit towards the Global Entry application fee. And this includes access to TSA PreCheck program. You get one point per dollar spent on the majority of purchases. And you get 1.5 times the points. But this is on charges of $5,000 or more on qualified purchases. And it is up to one million added points per year. You get five points per dollar spent. So this is on purchasing flights and prepaid hotels from the American Express Travel site. Also, make sure to check out the Ink Business Preferred Card from Chase. Get 80,000 bonus points. But this is once you spend $5,000 on purchases. And it is in your initial three months from account opening. Also, earn three points per dollar. But this is on the first $150,000 spent in combined purchases on travel, shipping purchases, internet, and cable and phone. It is also on advertising purchases made with social media sites and search engines each account anniversary year. Plus, earn one point for each dollar on all of the other purchases. So there is no limitation to the amount you can earn. For Low APR/Balance Transfers Business Credit Cards, we like the U.S. Bank Business Edge Platinum. You begin with twelve months of 0% APR financing on new purchases and balance transfers. Also, investigate the Blue Business Plus Credit Card from American Express. It has a 15-month initial 0% APR offer. So there is no annual fee. Right now companies can earn double points on the initial $50,000 in purchases annually. Check out the Wells Fargo Business Secured Credit Card. It allows cardholders to get a credit limit of $500 – $25,000. But the amount available corresponds to the amount of money you provide to secure the line. Your purchase APR rate can be as low as a variable 13.15%. The yearly fee is $25. But the more cards you have the more expensive your yearly fee will be. This card allows business owners with bad personal credit get a card to make purchases and establish business credit. But the card will just report to the personal credit bureaus if you default or are behind on payments. Your absolute best business credit card deals are based on your credit history and scores. Only you can figure out which advantages you want and need. So be sure to do your due diligence. And, as always, make certain to build credit in the recommended order for the optimum, fastest benefits. 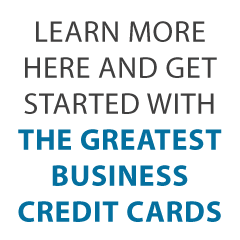 Check out how this will help your company get the best business credit card deals.